The Housing Workgroup from the ONEKingsport Community Summit, led by former mayor Jeanette Blazier, focused on the creation of strong neighborhoods. One recommendation to facilitate this accomplishment was the creation of a Neighborhood Commission. 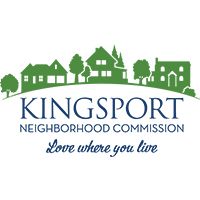 The Neighborhood Commission is composed of twelve Kingsport citizens who will advise on and promote initiatives to strengthen neighborhoods and, as needed, provide input to the Board of Mayor and Alderman on the impact of various programs to neighborhoods. Neighborhoods are the core of a city, and Kingsport’s are rich with character and tradition. People who live in a city want to see it flourish and are willing to be engaged in positive quality-of-life improvements. Through the neighborhood commission, the city and its citizens can build stronger neighborhoods and increase engagement with the city. Representatives from city neighborhoods serve as municipal liaisons. Provide neighborhoods with a strong link to the city and the tools to measure health and stability. Identify best practices, share success stories, remove roadblocks, and provide a venue for neighborhoods to connect for collaboration. Serve as a neighborhood advocate with the city to help resolve municipal problems and provide feedback to neighborhoods. Help define responsibilities, coordinate communications and serve as a neighborhood advocate. Provide guidance and coaching to individual neighborhoods. Create strong alliance between city and neighborhood. For more information on the Neighborhood Commission, please click here. There are many opportunities to shine and polish this jewel beginning the journey with your initial entry into the park. Upgrades and Modernization are key to keeping this the most visited site in Kingsport. Bays Mountain is working towards a National Recreation Trails certification. A new venue will be located at Lily Pad Cove to be utilized for weddings, parties and other events. Update the Nature Center to include a world-class area with new animal habitats. Create a new entrance for a grand first impression. Add new amenities that enhance the overall customer experience. The average annual attendance is 220,000 visitors, and there is room for increased capacity. Bays Mountain has a desperate need for improvements noted in a strategic master plan that was developed in 2010.